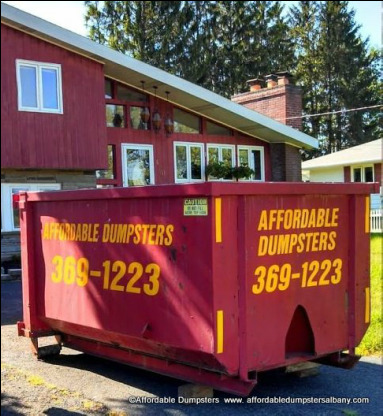 Affordable Dumpsters is always available for you. We are primarily a residential trash and junk removal service, but we welcome inquiries from renovation contractors regarding debris removal. Call us anytime to schedule roll off trash container dumpster rental. We will make your scheduling experience quick and easy. Feel free to call with any question or concerns that you may have regarding dumpster service costs, pricing, sizes or weight limits. We haul almost anything for one flat fee. If you prefer, complete the contact form with your questions. Be as specific as possible and include a good time to reach you by phone. We will get back to you as soon as possible, usually the same day.